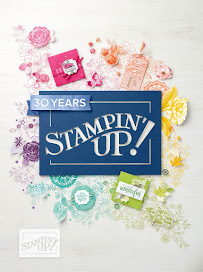 For this challenge, I first started as I normally do for sketches, with looking at Stampin' Up! 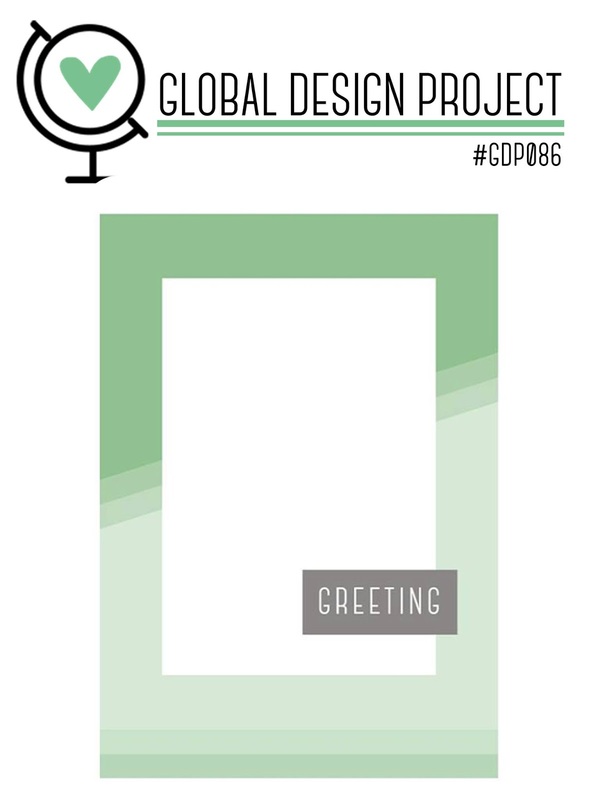 's DSP (Designer Series Paper). When I pick one I think would be a good match, I often go for the stamp set that matches the paper too. 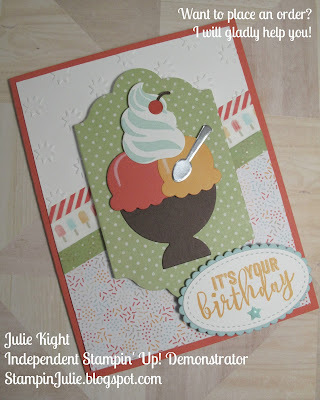 I also had an agenda with this card as it was for a young girl's birthday as well, so that made the choosing a little easier. 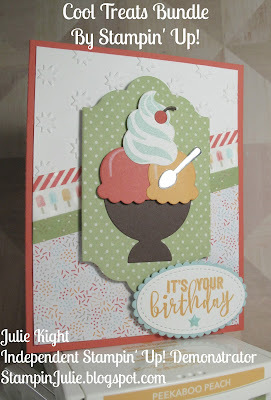 So I went with Tasty Treats Specialty DSP, Cool Treats stamp set and Frozen Treats Framelits. I did, however, use a different birthday greeting as the one's in the set were just too big for the front of my card. 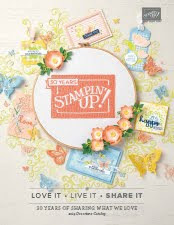 I used one from Balloon Adventures stamp set, and this stamp set is retiring too. 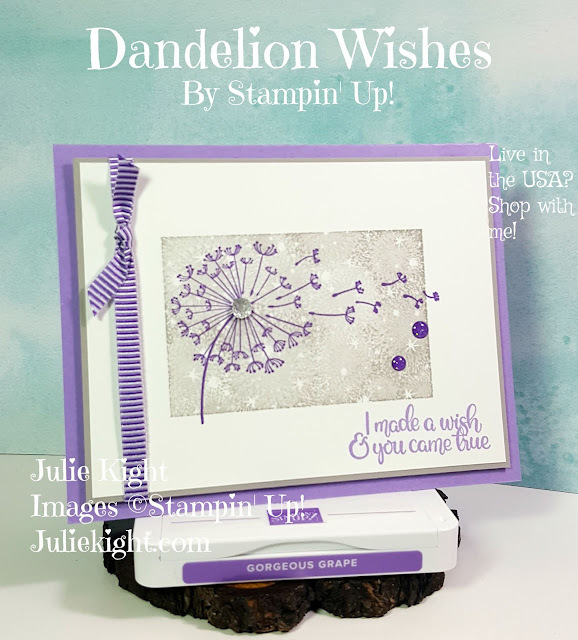 I also used the Washi Tape from the Cool treats Suite and a new item from the new 2017-2018 Stampin' Up! Annual Catalog. 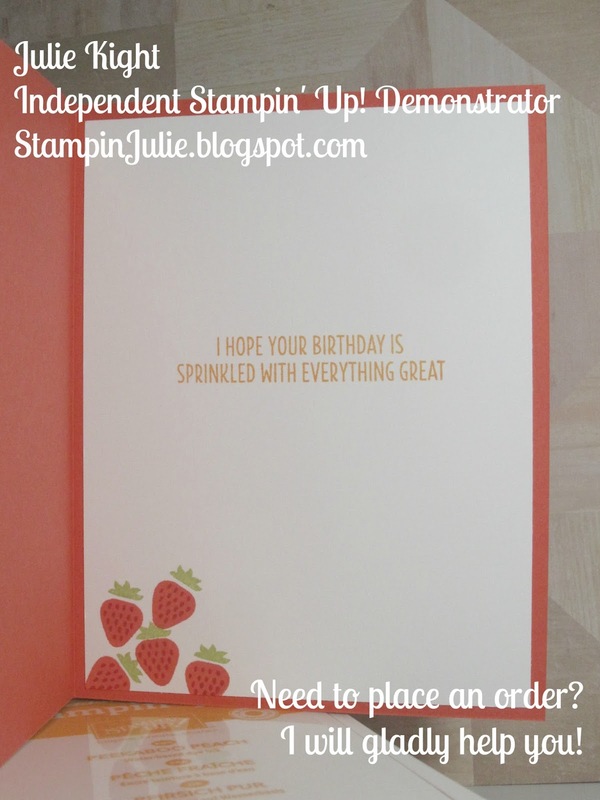 It is the Oh My Stars TIEF (Textured Impressions Embossing Folder). 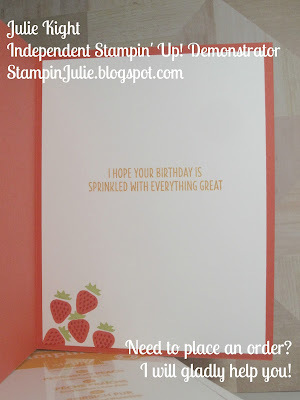 I continued the theme to the inside of the card by stamping several strawberries in the corner and a birthday greeting in the middle for my niece who has turned 3 yrs old! I encourage you, if you haven't already, to purchase this Bundle as even though it is continuing into the new catalog it will not be available as a bundle anymore with the extra 10% discount. Plus this set is just too cute for words! With summer coming up for those of us in the Northern Hemisphere this set is PERFECT!! Such a lovely and sweet Cool Treats project, Julie. The washi tape is perfect for the diagonal lines from the Sketch Challenge, and thankyou for joining in with this weeks GDP Challenge.